......../home/noguchi/tg2env/lib/python2.6/site-packages/SQLAlchemy-0.7.1-py2.6.egg/sqlalchemy/engine/default.py:448: SAWarning: Unicode type received non-unicode bind param value. Starting server in PID 24200. It is dumb question, do we need to install these packages for every project we write?. 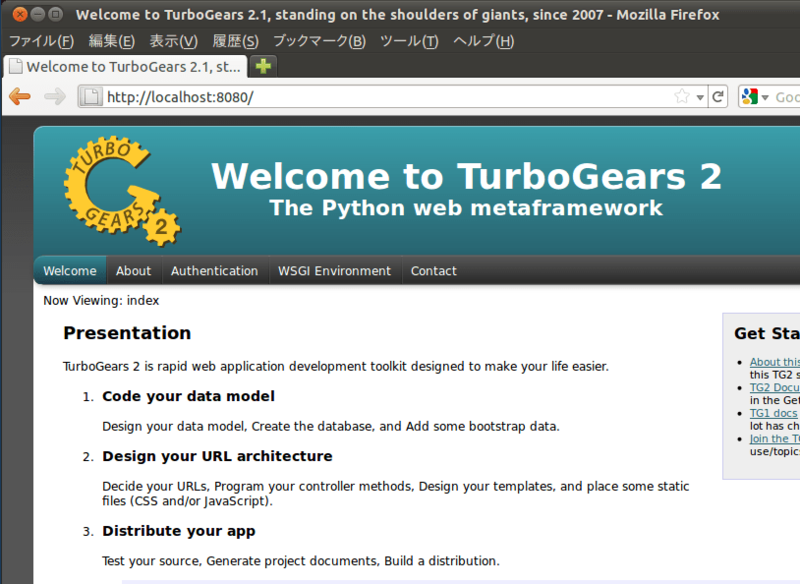 Can we have a local installation of TG2 on Ubuntu 11.04. I request you to answer this in English please. But, I’m a new to Python and English. sorry. May be, we have to install these packages for every project.